As cross-domain generalists, how can we best cope with narrow-focus specialists who insist that their own domain is the only one that matters? This is a constant problem in enterprise-architectures and the like, not least because we somehow have to link across every possible domain in the enterprise – yet the specialists within every single one of those domains will want to believe that their domain alone is ‘the real centre’ of everything that happens. In essence, this is about the age-old clash between specialist and generalist. Architecture-disciplines, by definition, must cover the whole of the context, with an emphasis on overall purpose, and how everything connects together to support that purpose. Again by definition, architecture is always going to be somewhat generalist: if there were no conceptually-separate or distinct areas to connect together, there would probably be no need for a distinct generalist discipline of architecture. The larger the scope, or the greater number of distinct domains that the architecture must connect, the more generalist the architecture discipline becomes. This is not necessarily by intent, but the blunt practical constraint that there’s only so much that one person can know. In the end – especially at the scope of a true ‘architecture of the enterprise‘ – the architect becomes a specialist in being a generalist. The problem with specialists is that they are prone to the grandiose belief that their small pond is ‘the only’ pond. A specialist becomes a specialism-troll whenever they become lost in their own grandiosity, and insistent that their small pond is the only pond that matters, that what they believe as ‘the truth’ in the context of that small pond is ‘the only possible truth’ that must apply everywhere. As architects, we know that, most of the time, that specialist’s own small pond is likely all but irrelevant in the larger scheme of things. But the specialism-troll doesn’t know that – in fact not only has a huge disincentive against knowing that, but has no means to know that, because they filter all information in terms of the small pond. That’s also why we can’t ‘win’ in any argument with such a specialism-troll: we can only argue within the tiny subset of the context that they’ll accept – about which, of course, they’ll know better than us, because they’re a specialist in that domain. When they come out with demands to ‘Prove it!’ and suchlike, the only sane thing we can do – exactly as with ‘ordinary’ trolls – is to walk away, otherwise we feed even further their delusions of grandiosity and (self)-importance. With ordinary trolls, we know that they have nothing useful to say anyway, and the only viable tactic is to ignore them. That point is well-known. As a generalist discipline, we do need urgently to get better at dealing with specialism-trolls. — Specialism-troll X is at perhaps at the more extreme end of EA’s all-too-common IT-obsessives: I wrote about one of the more bizarre interactions with him in the post ‘Why enterprise-architecture must be broader than just IT‘. I also wrote about specialism-troll term-hijacks and the dangers of ‘anything-centrism’ posts ‘How IT-centrism creeps into enterprise-architecture‘ and ‘IT-centrism, business-centrism and business-architecture‘. We need to note, though, the crucial distinction between attempts for a specialism to dominate an architecture, versus valid usage of and focus on a specialism within an architecture: I wrote about that in the post ‘IT-oriented versus IT-centric‘. — Specialism-troll Y is another variant on a theme of IT-obsessive, though his main driver appears more to be about protecting his position as an ‘enterprise-architecture’ trainer. 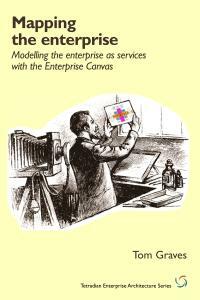 I wrote about some of the interactions with him in the posts ‘“The history of enterprise-architecture proves…”‘ and ‘The dilution of enterprise-architecture‘. Somewhen on LinkedIn (I think?) the indefatigable Len Fehskens perfectly described the real source of this particular problem for EA, in a comment I’d paraphrase as “the trailing-edge of EA is a long way behind its current leading-edge – and those two edges are rapidly moving further and further apart”. People like X, Y and Z each have a very large vested-interest in holding EA back to where it was a few years ago, when they and others like them could purport to be ‘the big-fish’ in their own small ponds. What they’re doing now, though, with their term-hijacks and specialism-trolling and the like, is actively holding us back – which definitely doesn’t help anyone at all… If we’re going to cut down on the waste of effort expended on EA’s specialism-trolls, we need to identify those behaviours, call them out, and call a halt to them, so that we are then able to move forward at the speed that this discipline now needs. If the purpose of a thread is to emphasise a specialism, that behaviour is perhaps not so serious a problem. But if the purpose is to develop onward, a specialism-troll is an active disaster, and in many cases must be removed if the thread has any chance of success. The LinkedIn behaviour of those three examples above – X, Y and Z – has for years now exactly matched all of those criteria. Although on some few occasions they do have some few useful points to say – as per any specialist – they also need to kept be under strict management, or they will disrupt every thread. As X, Y and Z each have done with every thread in which they’d turned up. Which is precisely why so many LinkedIn discussions end up being so darn futile: it only takes one specialism-troll to bring the whole thread to a grinding halt. Yet since so many people don’t seem to realise what’s actually going on, they blame LinkedIn itself – which kinda misses the real point. Hence, perhaps unsurprisingly, I’m in a space where I’ve pretty much given up on trying to deal with mainstream EA. 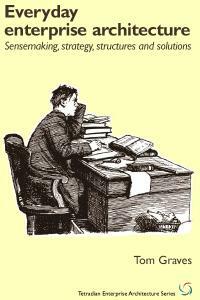 It’s just too hard, frankly: a vast expenditure for no meaningful result. So why bother any more? Seriously: why should I bother? Any good reasons at all? What this mess has illustrated for me is that, in reality, I’m not even on the leading-edge of enterprise-architecture any more: to be utterly blunt, the kind of contexts I’m working on at present are probably at least a decade or more ahead of where even the nominal ‘leading edge’ of current EA is right now. That’s why I don’t fit here; yet also why it’s perhaps not so wise that all too many people in EA seem to be having all too much, uh, ‘fun’, in relentlessly mocking and deriding me as some kind of off-his-head nutcase – despite my now solidly-proven track-record on pathfinding for the futures of EA. Putting up with that kind of crap, day after day, year after year? – yeah, it gets kinda wearing after a while… kinda old, y’know…? If you want an analogy, try Flatland. To be blunt, most of those specialism-trolls are barely out of Pointland; the IT-obsessives are still very much stuck in Lineland; the best of mainstream ‘EA’ is still very much Flatland, though the leading edge of current EA is perhaps getting closer to the world of the narrator of Flatland, just starting the struggle to make sense of the Sphere. In the meantime, yeah, I too am just another Flatlander, no-one in any way ‘special’, I’m acutely aware of that: yet one who’s trying to build tools to make sense of a tesseract, a truly n-dimensional space, where ‘n’ can be any number at all – and for the world that we’re actually in, ‘n’ is turning out to be a very big number indeed… Hence I really can’t afford to waste any time on Pointlander-idiots like EA’s specialism-trolls; and it’s now come to where I probably shouldn’t be paying much attention any more to EA’s Flatland, even though that’s where I came from and where I’m still largely forced to live. 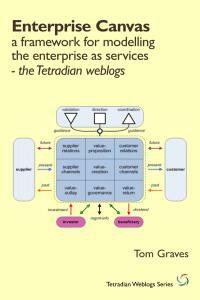 What interests me is a literal ‘architecture of the enterprise’, at a truly global scale. Maybe time, then, for me to walk away from the EA mess, and move on to somewhere else where I have somewhat more chance of being of real use. In any case, in the seemingly-unlikely event that anyone in EA actually wants what I do, you know where to find me. Over to you on that, if you wish. About all that needs to be said right now, really. Such people are usually the ones agencies will place in roles as enterprises have near time, real time issues and little time for wide angle review and planning. Its sad but the truth. 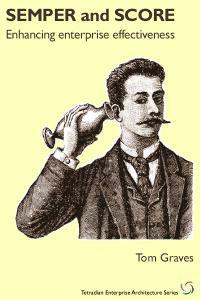 Those that do the strategy side of things well to be proactive keep their methods discrete. 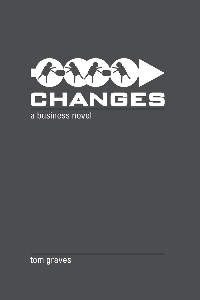 Companies that do not seem to react, chop and change. The good specialists know how to do their one thing better and better, but almost by definition they have no way to know whether their ‘one thing’ is the right thing to be doing. For the latter, we must be able to step back, allow some “time for wide angle review and planning” – and that’s where the generalist comes into the picture, linking between the specialists. The work of generalists is what creates resilience, adaptability, anti-fragility: the catch is that doing so takes time: by definition, it’s less ‘productive’, less ‘efficient’, than blindly following the specialists’ existing ‘solutions’. The less the world changes, and the more we can safely assume that ‘productivity’ and ‘efficiency’ are the only things that matter, the more we can allow the specialists to rule the roost: the leading-edge is very close to the trailing-edge, so to speak. But the more the world changes, and the greater the risk that being more ‘efficient’ simply means doing the wrong things faster, then the greater also the risk that the specialists will become specialism-trolls, holding the trailing-edge static whilst the leading-edge necessarily moves on. In a static, stable world we’d eventually have no need for generalists; but in a world such as at the present time, where change is not so much a constant but a random acceleration, we need to keep the specialism-trolls at bay. Tom, I think you described the real problem in this statement. As you know I’m an infrastructure architect and I’m a generalist in the sense that I don’t now much about one technology but I know a enough about a lot of technologies to integrate them in big pictures/solutions. But as far as I understand your (own?) architecture context is so big that by definition almost everybody else is a (domain-)specialist in your eyes. Peter – yes, you’re right that “Architecture-disciplines, by definition, must cover the whole of the context” describes the real problem. I fear, though, that you may have missed the most important part of that assertion, so I’ll state it again, with an additional emphasis: “Architecture-disciplines, by definition, must cover the whole of the context”. 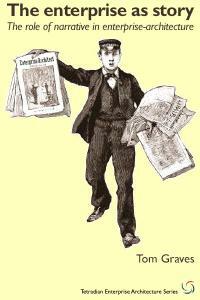 It’s not about specific items of content, but relationships between items of content within the respective context. — if the context is infrastructure itself, then by definition IT-infrastructure can’t be a specialism-troll in that context, because it is the context; the risk of specialism-trolls relates to yet-smaller specialisms within the scope of that context. — if the context is an entire whole-of-enterprise architecture, then yes, there is a risk that IT-infrastructure could act as a specialism-troll: but only if it refuses to acknowledge the existence and/or importance of other domains within that broader scope, and/or insists that it alone must be ‘the centre’ for the entire architecture – neither of which mistakes you yourself do. Tom, your additional explanation helps to clarify some things for me. But I wasn’t offended because I’ve been called a http://smurfs.wikia.com/wiki/Grouchy_Smurf by a manager once 🙂 I was more triggered by the word “lost” when I wrote my comment. I have (I hope?) answered the question of architectural-scope in a follow-on post, ‘More on trolls, specialism and context‘ – I specifically make the point there that IT-infrastructure has its own specialism-trolls too. Corporate strategy & organisational design departments should be buyers of your thinking..everyone else is by definition focused on the role the organisational design has (perhaps inadvertently) bestowed upon them. Perhaps EA’s role should be to call out when functional (specialist) optimisations are acting against the overall objectives of an organisation? In that role, it supports the CEO or COO of an organisation. Of course, each functional organisation likely needs its own EA – whose express purpose is to optimise how that functional organisation performs. I do. Lots. From a lot of first-hand experience. Both my parents were GPs (general-practitioners; US: ‘family doctors’); I’ve done quite a bit of work in education for doctors and paramedics; I read the BMJ most weeks, and keep track of developments in the various medical-disciplines overall. In the UK, when the National Health Service was set up, the whole structure was built around hospital-based specialists: general-practitioners were derided as having “fallen off [politician] Moran’s [career]-ladder [for doctors]”, excluded from promotion-structures etc because they weren’t specialists. And yet all medicine depends on what’s now described as ‘primary care’, the point at which ordinary people will most-often first come into contact with medical services, and often the only place where any sense of the person-as-person can be maintained at all. Well, yeah, it’d be nice if they did… 🙂 – yet it’s not just about strategy, it’s everywhere. As I’ve just said to Peter Bakker above, it’s fractal: the same principles and concerns apply in every context, in every domain and at every level. This seems to be the one point that people find hardest to understand… – though I have no idea why. Yep, exactly. It is somewhat different than “IT, Ops, Finance etc” in that those domains mainly focus on doing something, whereas EA focuses more on linking all of those various ‘somethings’ together. Yep – it’s fractal, so that point follows as a direct corollary of a requirement for EA at all. 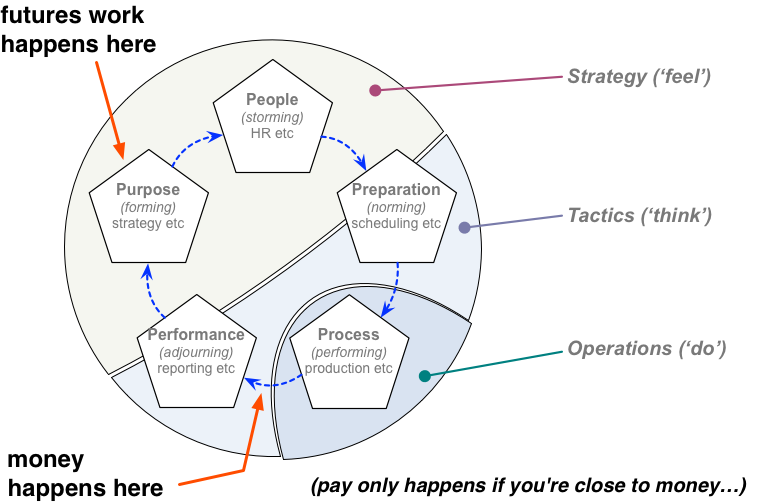 The catch is that its “express purpose” needs to be “to optimise how that functional organisation operates” within its broader context – otherwise the local architecture will almost certainly fragment the broader architecture. Hence, again, the importance of fully understanding the fractal nature of it all, the fractal nature of the relationships between each of the respective elements, roles and mutual-responsibilities. First, enthusiastic agreement with everything Tom has written here. First, your fervent belief that architecture is about the “whole thing”, with which I agree, is not, I believe, generally shared within the EA community. I find in many discussions about architecture, and in many related discussion about the role of systems thinking in EA, an emphasis on “components and their relationships”, i.e., an atomistic rather than holistic perspective on architecture. Even ISO/IEC/IEEE 42010, whose definition of architecture is recited like a mantra, relegates the purpose of a system to just another concern of its stakeholders. It’s very easy to lose sight of the idea that a system is a means to some end, not an end in itself, if you think of its purpose as just another concern rather than as its raison d’etre. And if you lose sight of the singular role of purpose, it’s easy to become focused on something, anything, that works, in the sense of “does something without obviously crashing”. So the community pays a lot of lip service to the idea of addressing stakeholder requirements, but the evidence that we’re not very successful at doing so is legion. Witness the proclivity to discuss architecture in general and EA specifically in terms of whatever the currently fashionably concern is. The assumption is that if we get these things “right”, then the system or enterprise will necessarily be, in my favorite expression, “fit for purpose”. This assumption is so deeply rooted in the community that no one ever notices how ludicrous the idea is that all there is to “transforming the enterprise” is transforming its IT support. You and I have both frequently cited the fact that the IT function in most organizations represents about 5% of the organization, regardless of how you measure it (headcount, budget, …). The idea that this 5% is magically the key to the transformation of the other 95%, or that the other 95% will “take care of itself” goes unexamined. The other thing is the widespread belief that the future of this emerging profession is entirely and forever defined by how it is practiced today. Were this the case for medicine, fir example, we would go to a barber shop for a heart transplant, or more likely insist that because it has not been practiced since the dawn of medicine, it is not properly considered part of medicine’s concerns. 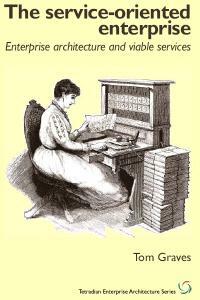 It is unquestionably the case that by far the majority of EA as currently practiced is IT-centric. This is not destiny. This is where the money is today, and where the most desperate need lies. To assume, though, that this uncontestably defines EA is what I have frequently referred to as a “failure of imagination” on the part of the EA community. Hi Tom — I generally agree with your point of view, but I’m really sorry that you withdrew from the discussions where this latest episode occurred. Maybe I’m a coward, but I find myself giving certain discussants a wide berth (after a few too many shouting matches (in print) of my own). In most cases I think in these professional settings the “troll” epithet is not really apropos. My understanding of the true Internet troll is actually on a mission to stir up controversy, dissension, and general crap. The way I interpret most of what goes on in LinkedIn is that people 1) want others to accept and adopt their point of view, and 2) forget or ignore that most of the people they’re interacting with are seasoned practitioners (nice way to say old farts), who are also out there to become recognized as the grand guru of whatever it is. Doug: points made and accepted. I hope I’ve clarified this somewhat in the new follow-on post, ‘More on trolls, specialism and context‘. As I said there, it’s important that we do use the same term ‘trolling’ for this kind of behaviour, because whilst the intent may not be so consciously there, the disruptive effect is almost exactly the same. I’ve also asserted there – and I believe strongly – that we shouldn’t just sit back and let it happen, or otherwise just walk away without challenging the behaviour: instead, I regard it as our professional duty to challenge specialism-trolling wherever it occurs – perhaps especially in our own behaviour, in interactions with others. What I’ve also added in that new post is a suggestion for a way of policing specialism-trolling, based in part on that old Norse tale about the troll and the Three Billy-Goats Gruff: a sequence of graded warnings, as a kind of variant on ‘three strikes and you’re out’. With luck, and with some persistence, we should be able to keep specialism-trolling down do a much-more-bearable minimum compared to its present almost out-of-control state. And therefore it can’t be holistic by itself. And therefore it [architecture?] can’t be holistic by itself. Can you elaborate further? I don’t understand the reasoning here. Even Tom’s Enterprise Canvas idea is about how parts form a whole. Perhaps East Asians think we are all specialists/analytic thinkers while we think that we architects are holistic thinkers. I sincerely appreciate your thoughts on s-trolls. Is there a place for fuzzy synthesis? 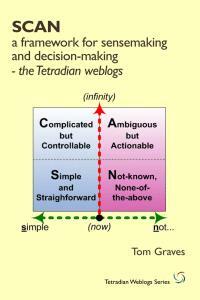 Tom: Thanks for this post…I found it very appropriate in light of the increasing complexity with which we all have to deal. I was especially taken by your X, Y, Z troll examples and have seen many examples of all three in my (not only) LinkedIn communications. To add another layer of “context”, what I am seeing is that most (claiming to be) EAs today are indeed stuck in the X and Y type of roles you describe. These, however, are (relatively) easy to dismiss in the sense that they are very easily identifiable as IT-trolls. I would just want to encourage you not to give up and to keep publishing and posting…your work is both important and valuable and I (and I know I am not alone) would hate to see your POV lost…we need it! Thanks, Ed – much appreciated. At one level I don’t have an obvious answer, because the problem there is more about a misalignment with scope or content, whereas all of the discussion in these two posts is about a pattern of behaviour rather than specifically about types of content. What I can suggest is as follows. 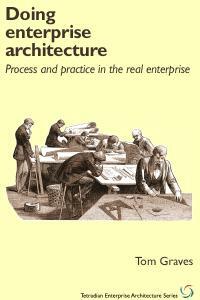 As I understand it, you take a similar view to mine about architecture, that ‘the enterprise’ that we need to assess for an enterprise-architecture necessarily extends a long way beyond just the organisation itself. We need to do that in order to enable ‘outside-in’ and even ‘outside-out’ views into the organisation’s direct business-context (with ‘business’ in its widest possible sense, including government, NGOs, your local parent-teacher association or whatever). We can then contrast those views with the usual ‘inside-in’ (e.g. TOGAF 8 etc) and ‘inside-out’ (TOGAF 9 ‘Business Architecture’, Business Model Canvas etc) views, to build up a better picture of strategic risks, opportunities and more. So a test that you can apply to guard against “it just ain’t so” disappointments would simply be to ask whether the other person includes those two broader types of views (outside-out and outside-in), or whether the view the world from a largely organisation-centric perspective – such as asserting that the sole purpose of the business is (as per current mainstream ‘economics’) to maximise returns to its financial-shareholders. If they don’t include those broader views as at least ‘equal citizens’ with the organisation-centric views, then yes, they’re perhaps technically holding an ‘holistic’ view of the ‘within‘ of the organisation, but not in that wider sense where you (I believe?) would prefer to work. 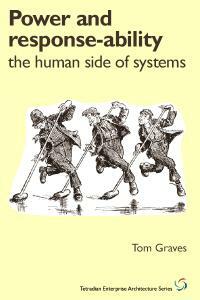 The ‘Z’-class of specialism-troll is one who actively purports that the organisation-centric view (or a subset of that view, itself often purporting to be the whole of that organisation-centric view) is the whole scope of ‘the architecture of the enterprise’, in effect blocking out those broader outside-out and outside-in views. It’s not the promoted content that’s the problem – because it is, after all, a valid sub-domain or sub-sub-domain with the overall scope required – but the way in which it’s applied as a term-hijack, blocking out the broader view, or insisting that the broader view either does not matter or does not exist, when clearly it does. Yeah, I do understand, and yeah, in some ways it’s in my blood or whatever, in some ways I just write because I just have to write. It’s just that all that relentless sh-t of misunderstanding gets way, way past ‘old’… – and again, at this point in my life, I just don’t have time for it any more. Thanks for the perspective on the Z-class specialism trolls..it is helpful but still, separating the wheat from the chaff can be both frustrating and time consuming. And yes, you are right…this is the area I not only prefer but really find valuable. I have spent most of my career with a very conscious international focus (15+ years with GE all over the world and the last 20 working for 3 UK based orgs…) and want to understand, in particular, the effect of culture on the kind of topics we are discussing (won’t use the “EA” term here…) There appear to be major differences, but these seem to be more interpretive (outside-in) than substantive. But that is a whole nother topic. Please be assured that I thoroughly appreciate your efforts and especially the time it take to respond to me. And, I would specifically ask, that if you ever think that I am “turning trollish” you pull a Jethrow Gibbs on me and “slap me upside the head”. I just saw your “Calling a Halt” post and fully understand the courage and humility it took to write it (along with the frustration). All I can say is “Keep Calm and Carry On” – for those of us who desperately want to listen! Tom: I said “Transformation” and “Sustainability” above…what I should have said is “Transformation for Sustainability” as it is a continuous effort! I think it’s both. Not all questions must be of the either/or variety. The problem I have with “pure” holism is that it treads perilously close to things that we can’t pin down, and that we are inclined to acknowledge as “in the eye of the beholder”. That’s OK as long as we simultaneously acknowledge that this is not one of those “either/or” things, that if you and I see different patterns, that doesn’t mean that one of us is necessarily wrong. 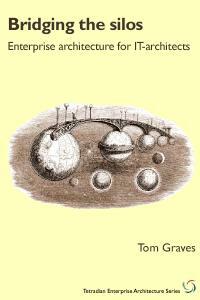 This predisposition, to see the world in either/or terms, is as Tom puts it, fractal, i.e., a pattern that recurs in the same form at all scales and all levels of abstraction. It is itself an anti-pattern, in that it interferes with the recognition of other patterns — the “can’t see the forest for the trees” effect. 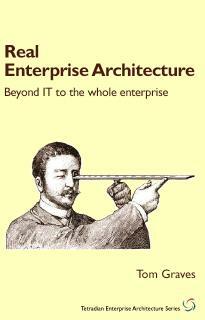 It’s not something enterprise (indeed, any kind of) architects should value. Actually, no. The warning about anti-patterns is, yes, perhaps valid for a newbie who doesn’t know how fractals actually work – the crucial distinction between ‘same’ and ‘self-similar’ that respectively typify simple recursion and true fractality. It’s also not either/or.